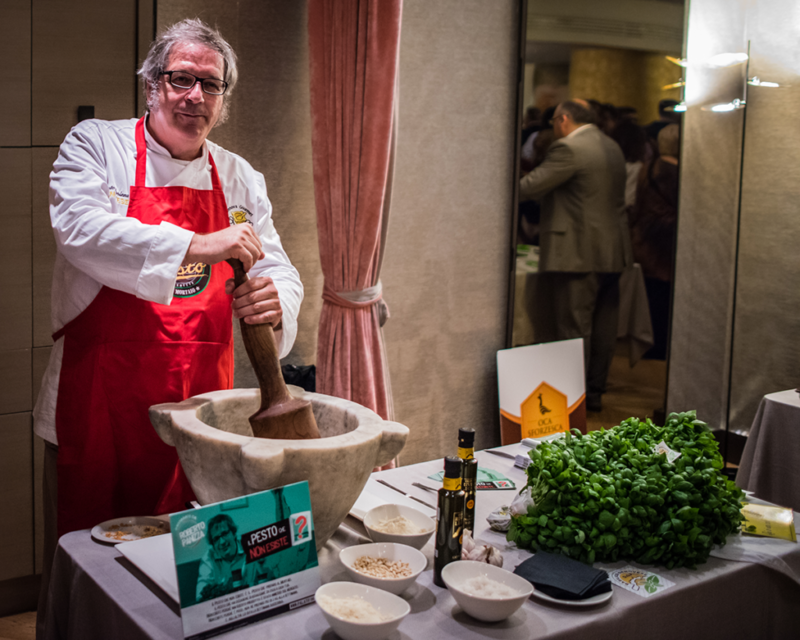 The great “Milano -Sanremo del Gusto” B2B and media event took place right in the heart of Milan, at the exclusive Rosa Grand Milano Hotel. 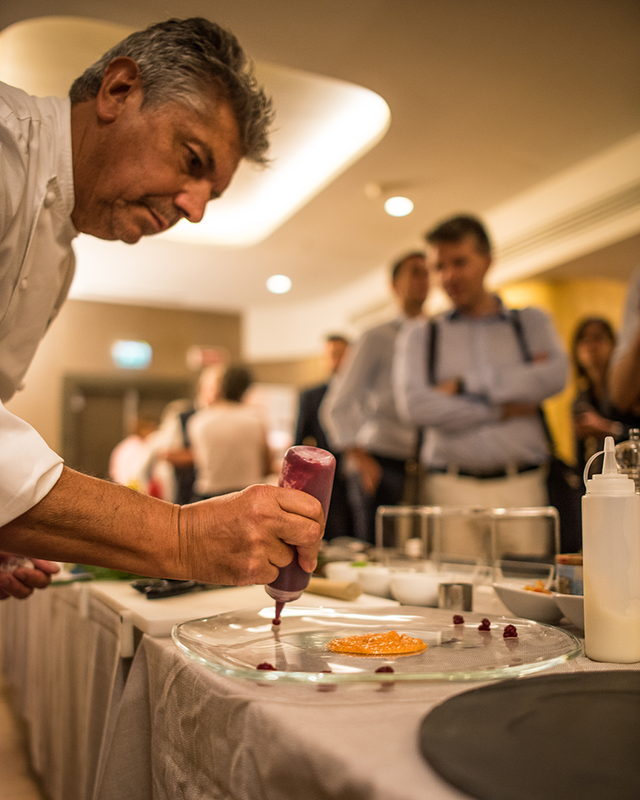 On June 26th in Milan, more than 150 journalists, influencers and sector’s experts crowded the Roses restaurant at the Rosa Grand Milano Hotel – Starhotels Collection to participate in an extraordinary evening event. 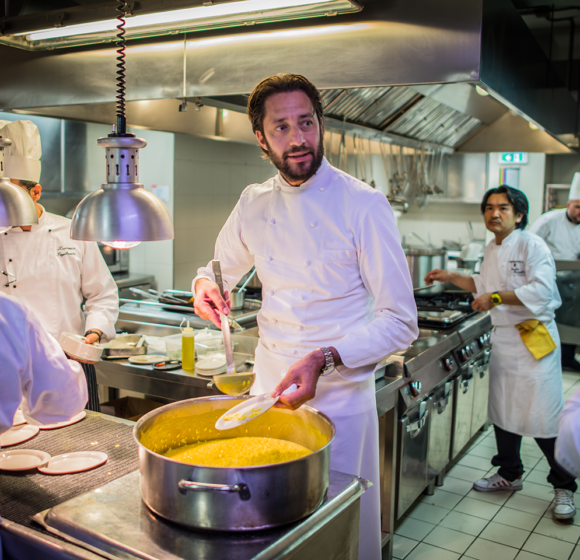 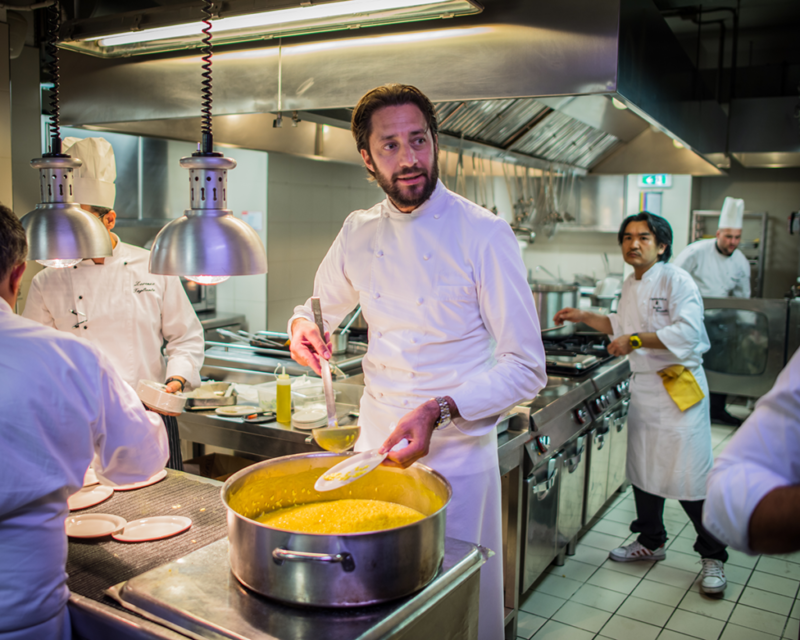 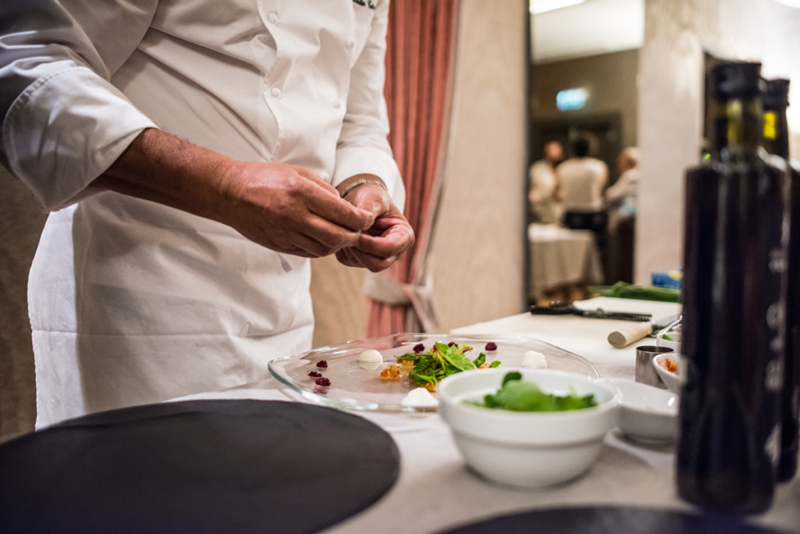 Three exceptional chefs from three regions of Lombardy, Piedmont and Liguria made the evening even more entertaining with their impressive cooking shows. 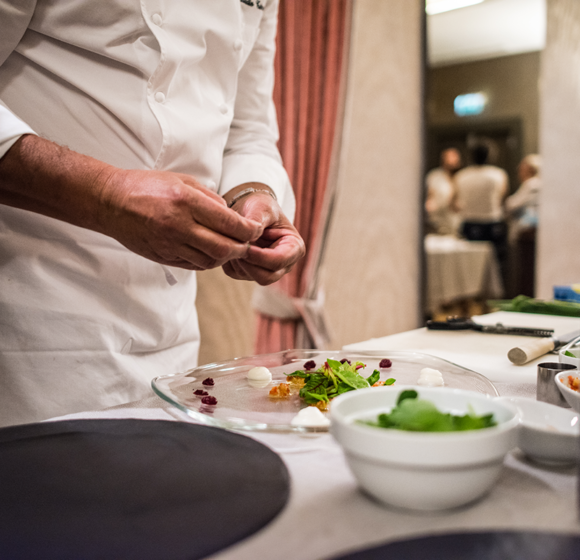 Claudio Tiranini for Liguria prepared the celebrated Sanremo shrimps and Ligurian Sea anchovies; Luigi Taglienti for Lombardy offered the audience a gourmet risotto, while towards the end of the evening Chef Matteo Monfrinotti for Lombardy, created his version of sweet treat “bacio di dama“. 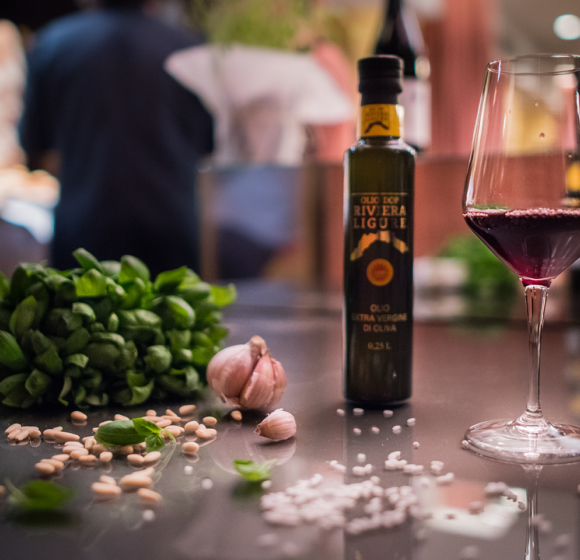 The unmistakable aroma of Genoa basil. 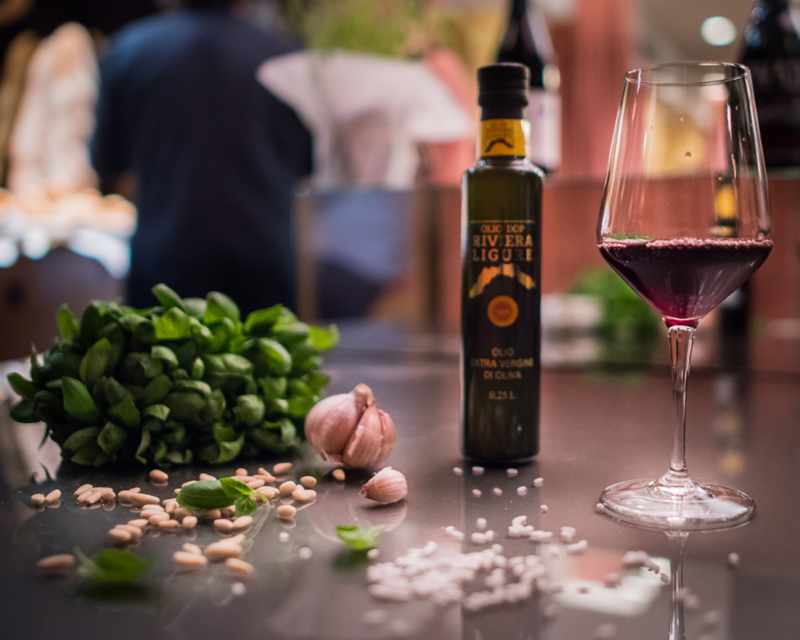 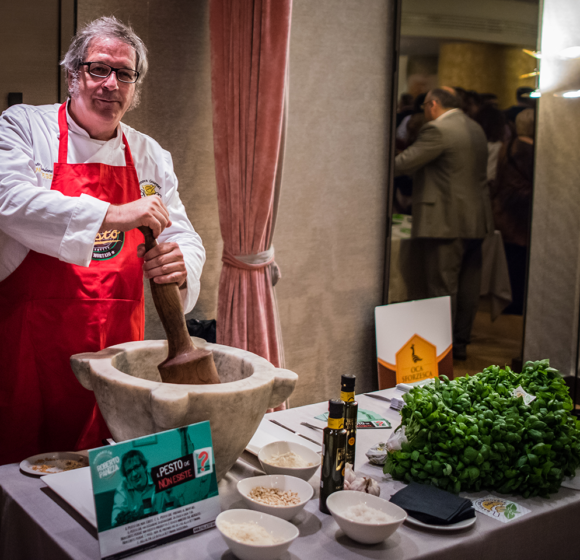 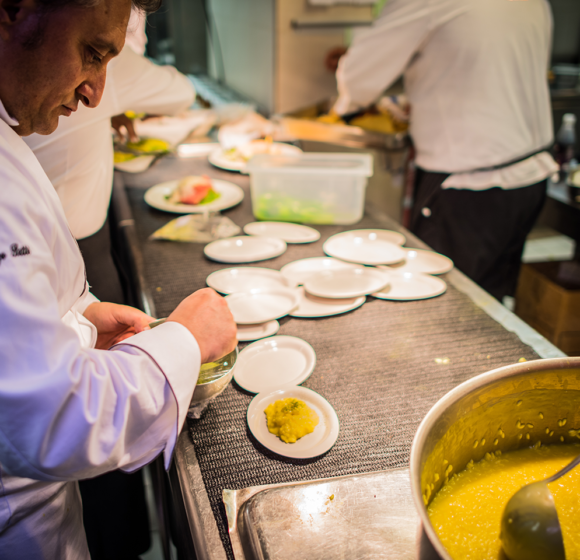 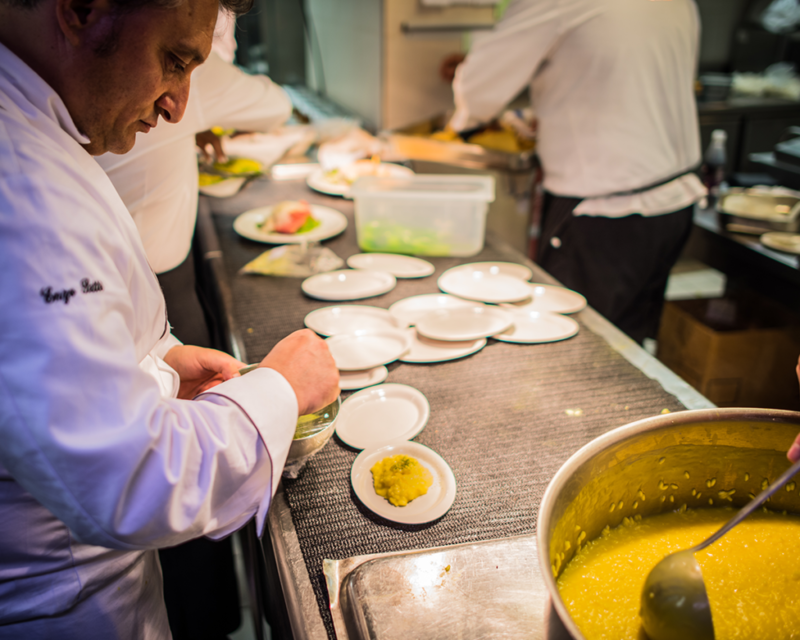 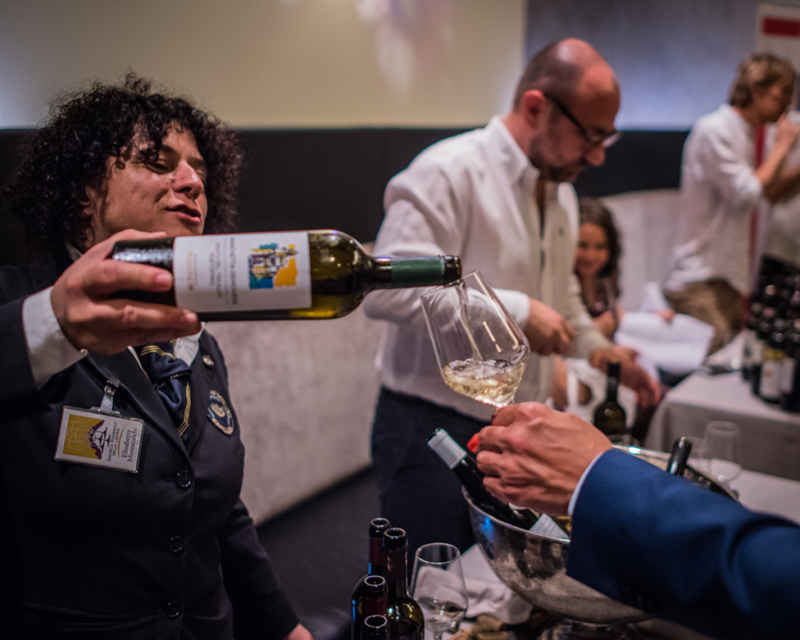 While the guests enjoyed the dishes of the famous chefs and tasted local wines, the hall filled with the unmistakable aroma of Genoa basil, expertly crushed by Roberto Panizza, of the PalatiFini Association. 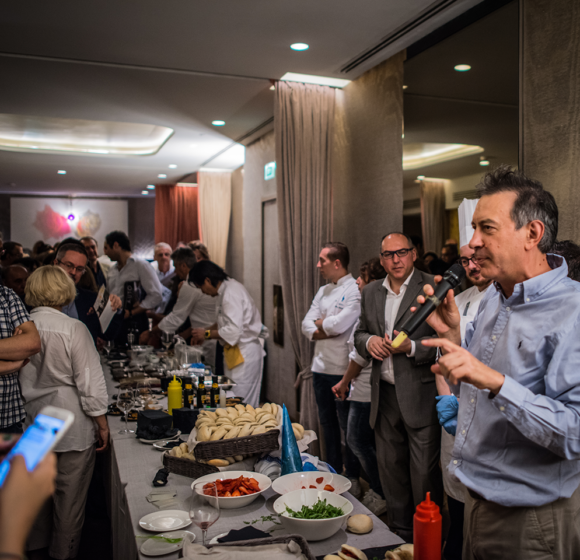 Thus, even the wish of tasting trofie pasta with pesto came true at the end of the evening. 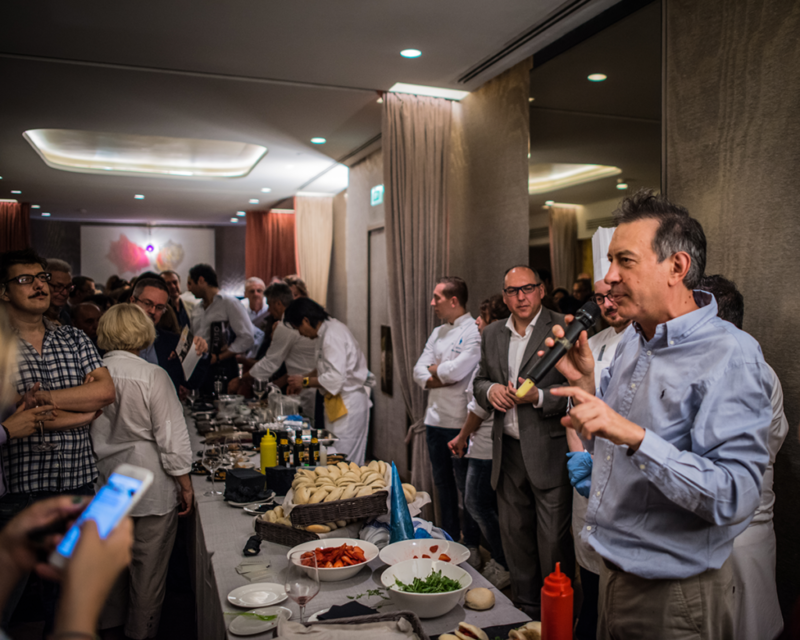 It was just when the evening seemed to be over that a big surprise hit: famous bartender Luca Coslovich presented the official cocktail of “Milano Sanremo del Gusto“, created with unique ingredients from the three regions. 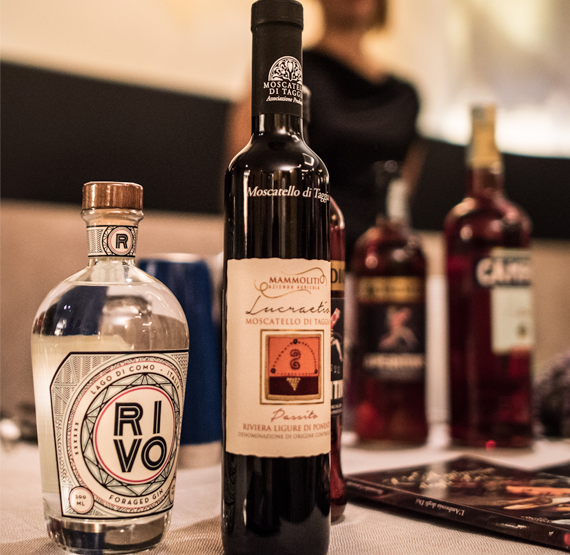 Bitter Campari, scented Italian Gin produced on the shores of the Como Lake combined with partially dried “moscatello” wine of the Taggia area and the Bordiga aperitif of Cuneo. 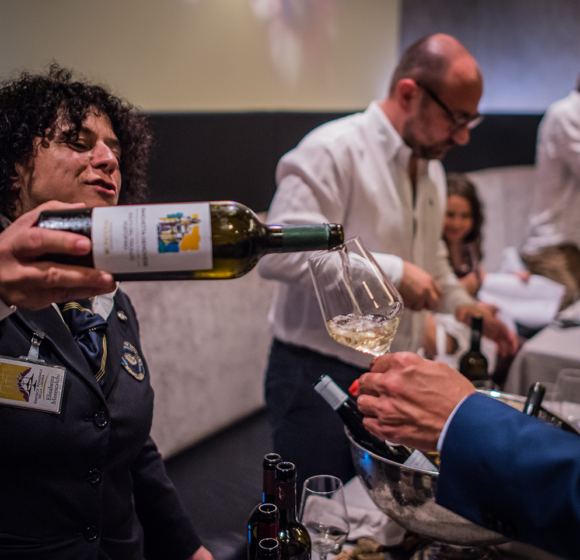 You will have a chance to discover both ingredients and secrets at the next Collisioni Festival on July 15th in Barolo, during the cocktail lab held by Luca Coslovish.